Kyle Larson led first practice at Kansas Speedway with a lap of 189.056mph. 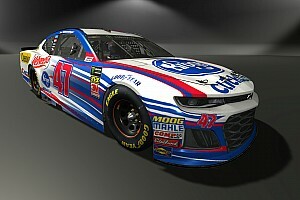 Larson, who is third in the Monster Energy Cup Series standings, is looking to improve on his sixth-place finish in the spring. Kevin Harvick was second-quick followed by Kyle Busch, Ryan Blaney, Martin Truex Jr., Kurt Busch, Daniel Suarez, Matt Kenseth, Clint Bowyer and Jamie McMurray. 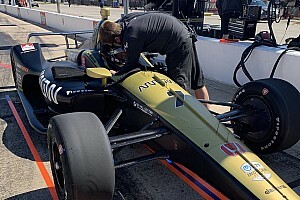 Initially, drivers were slow to take to the track for the 85-minute session even though there was a lot on the line. There wasn’t just the pressure of attempting to dial in cars for qualifying, but also how teams lined up after time trials will determine pit stall selection for next weekend’s race at Martinsville — one of the tightest pit roads on the circuit. “For Martinsville, yeah, this is huge,” Jimmie Johnson said. “We all know how important that first pit box is. I’ve won plenty. I think I maybe won one or two from that first pit box, but I know it’s really useful and helpful when you have it. The few times I have been in that pit box, I mean you just need an okay pit stop and you roll off ahead of everybody. In the first 10 minutes of practice, only 15 drivers had posted times with Keselowski on top of the speed chart with a lap of 183.268mph. Michael McDowell (182.825) was second-quick after two laps followed by Ryan Blaney, Kevin Harvick, Chris Buescher, Kyle Larson, Chase Elliott, Erik Jones, Denny Hamlin, Joey Logano, Jamie McMurray, Kasey Kahne, Aric Almirola, Trevor Bayne and Clint Bowyer. Two minutes later, Blaney topped the No. 2 Ford with a lap os 183.299mph after a four-lap run. Fifteen minutes in, Martin Truex Jr. vaulted to P1 on his first lap (186.239mph) followed by Matt Kenseth (183.905mph), Blaney, Keselowski, McDowell, Harvick (182.556mph), Buescher, Austin Dillon and Almirola. Daniel Suarez jumped up to second on his first lap (185.109mph). Jimmie Johnson (185.090mph) and Kyle Busch (184.963mph) followed with the third and fourth-quick on first runs. After the first 30 minutes, 38 cars posted times. Truex remaining atop the leader board followed by Suarez, Johnson, Kyle Busch, McDowell, Kenseth, Blaney, Keselowski, Larson, Hamlin, Harvick, Buescher, Austin Dillon, Bowyer and Elliott. Almirola, Kurt Busch, Erik Jones, McMurray, Newman, Logano, Bayne, Stenhouse, Kahne and Earnhardt completed the top 25. Kyle Busch bumped up to the top of the speed chart with a lap of 186.458mph on his third lap to give Toyotas the top four speeds. Kurt Busch broke up the Camry party with a lap of 185.874mph — which moved him up to fourth. Larson’s 12th lap (186.981mph) of the session vaulted the No. 42 Chevy to the top of the chart just before the 50-minute mark. Larson ran through the middle of Turns 3 and 4 en route to his fast lap. Kyle Busch remained second, Truex third followed by Suarez, Kurt Busch, Kenseth, Harvick, Johnson, McMurray, Keselowski, Austin Dillon, McDowell, Buescher and Blaney. Kurt Busch bounced up to second-quick — 186.968mph — after 55-minutes. His teammate Harvick, jumped to P1 with a qualifying run of 187.169mph. Kyle Busch bumped Harvick with a lap of 187.331mph. 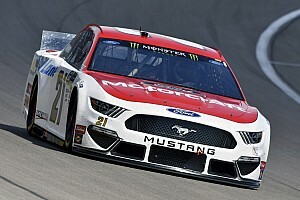 With just over 15-minutes remaining, Blaney climbed to second-quick (187.182mph) followed by Harvick, Kurt Busch, Larson, Kenseth, Suarez, McMurray, Truex and Elliott. Harvick returned to the top spot with eight-minutes to go in the session with a speed of 187.500mph. 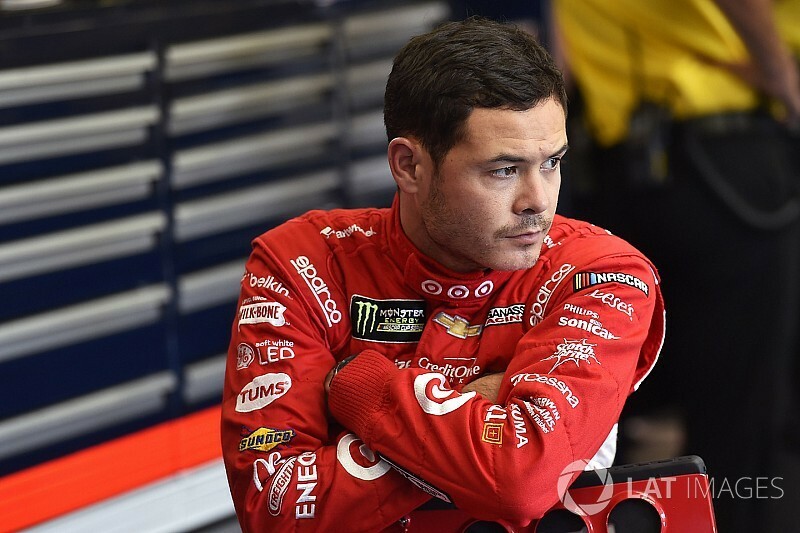 Three minutes later, Larson returned to P1 with a lap of 189.056mph on his 16th circuit around the 1.5-mile track. “It’s definitely a little bit different just for the fact the (corner) entries are a little different than at most places,” Harvick said. “Turns three and four remind me of turns three and four at Chicagoland Speedway, but there’s a lot more grip and fresher asphalt than what Chicagoland has nowadays. 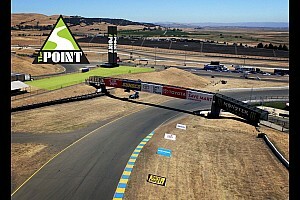 It’s a very high-speed racetrack. You run the middle to the bottom of the racetrack. Roundtable: Will the NASCAR Cup Series ever go international?